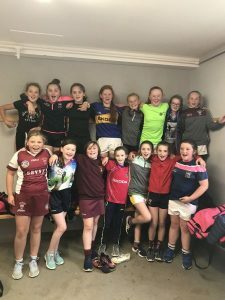 Well done to our brilliant U13 ladies footballers who played in a blitz in Roscrea last Monday. The girls played some excellent football and were very unlucky to lose out on a place in the County Final. A strong Gaelscoil Nenagh team were the overall winners on the day . The team showed a fighting spirit throughout and their skill, determination and teamwork were also well displayed on the day. Well done to all!